One expert says an additional 50 million barrels could be added to stocks. As expected, with some U.S. refineries resuming operation in the wake of Hurricane Harvey, gasoline prices on Friday declined for the first time - by about 2 percent - since the arrival of the storm, and the crack spread or difference between U.S. gasoline and crude oil fell by over 5 percent. Meanwhile, West Texas Intermediate settled 6 cents higher at $47.29 per barrel, while Brent settled 11 cents lower at $52.75 per barrel. If Friday's market showing suggests that prices are seesawing with no discernible trend to the positive or negative, that's normal until a clearer picture of Harvey's short- and long-term impact on the energy industry is obtained, say analysts: "We're continuing to assess the refining sector and its ability to come back from Harvey," stated John Kilduff, founding partner at Again Capital. Notable companies restarting operations include Marathon Petroleum Corp's Galveston Bay Refinery in Texas City, Texas, (it has already reportedly raised production to 45 percent of its 459,000 barrel per day capacity); Citgo Petroleum Corp's refinery in Corpus Christi; and the main lines of The Explorer Pipeline, which hauls fuel from the Gulf Coast to the Midwest region. Indeed, despite the calamitous images of flooding and displaced families beamed across the world, the careful preparations of oil companies prior to Harvey's arrival and the orderly clean up efforts afterwards seems to bode well for a full recovery sooner than later, and this presumably influenced the International Energy Agency on Friday to announce that it still sees no need for a coordinated international release of oil stocks. It said in a statement, "To date, market mechanisms and government assistance have been adequate; the IEA stands ready to act as required. "There are high levels of stocks in the affected regions and in the United States as a whole. 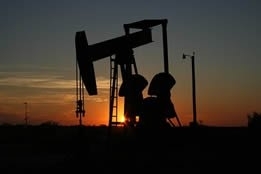 These stocks are being supplemented by imports of gasoline to the East Coast of the United States and the U.S. Secretary of Energy has taken action to ease localized crude oil shortages in Texas by providing crude oil loans from the U.S. Strategic Petroleum Reserve." But that doesn't mean there aren't plenty of significant challenges ahead. Francisco Blanch, head of global commodity and derivatives research for Bank of America Merrill Lynch, told CNBC that although refining capacity is slowly coming back, "we could see a build up in inventories, including inventories here of 40 to 50 million barrels on the back of these refinery outages, which is what's pressing WTI prices lower." He added that WTI "will stay weak for awhile" - possibly as long as three months - and that imports into the U.S. will be pushed back out, which will negatively impact the price of Brent. Blanch went on to say that another fallout of Harvey will be all the markets that heavily depend on U.S. oil imports. Earlier this week, Ed Morse, head of commodities research at Citigroup Inc., said "The U.S. has emerged as a global energy hub" - a reference to the large volume of countries, including those in Europe and Latin America, that have come to depend on it for their energy needs. BMS United offers you fuel oil supply and related services of the highest standard all around the world. Our dedicated traders in Piraeus, Buenos Aires, Limassol, Hong Kong and Vladivostok ensure you the very best solution in terms of both quality, pricing and logistics. Whether you need large quantities of bunkers in main ports or marine gasoil at remote destinations, our traders ensure you timely and accurate supplies.